Church is a place for celebration. As a body of believers, we come together to offer worship to God and support to each other. We learn together, serve together, grieve together, rejoice together, ponder together, and celebrate together. That celebration gets tricky when we as the church are handed a set of holidays outside of our faith tradition and the Scriptures. It can be problematic to incorporate the special occasions of our culture into our worship. We just so happen to be right in the middle of such a stretch on the calendar. We’ve come through Mother’s Day and look forward to Father’s Day. These seemingly innocuous observances have come to be freighted with conflicting emotions, and the church can either make that better or worse. In the not-so-distant past, we didn’t have much awareness of how Mother’s Day or Father’s Day could possibly be a problem for people. There was a cultural expectation, based on the majority’s experience of their parents, that these could only be positive relationships for people. Why wouldn’t the church want to give expression to the gratitude people naturally felt for their God-given parents? The changing nature of family dynamics and the shift in societal expectations of parenthood make these special days more complicated for the church to participate in. For example, I can remember a time when churches would routinely present “a flower for mother” to all the mothers present at worship. Certainly this would seem appropriate. Until you consider the woman who could not be a mother for any number of reasons beyond her control. Then, “a flower for mother” feels exclusive and reinforces the pain of those who can’t or don’t yet know the joy of motherhood. Another popular way of recognizing mothers was to honor the oldest mother, youngest mother, and the mother with the most children in attendance. Again, this seemed entirely appropriate until we had to confront the reality that our youngest mother in attendance is 13. And Father’s Day has grown no less perilous for many of the same reasons. Ministers certainly can find it problematic to commemorate either occasion when there are those who come to the church as a place of refuge from the broken relationships in their lives. If you have never known your parents or were abandoned by your father or mother, can you find a way to approach God in worship with those circumstances hanging over your head? But things are different now. This year I was keenly aware of changing attitudes and approaches to Mother’s Day in worship with a quick scan of my Facebook feed the week of Mother’s Day. Many of my friends in ministry were writing or sharing posts asking all of us to pause before defaulting to Mother’s Day traditions of the past without considering the impacts on all who attend worship. And I’m sure there will be another round of similar awareness raising in another few weeks when we get to Father’s Day. So what’s the solution? 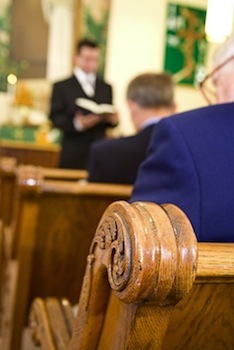 How are pastors and worship planners to prepare their congregations for the worship of God? What are the expectations, desires, and needs of those who come to those services? First, look to the text. Honoring our mothers and fathers is one of the Ten Commandments. It has a place in our faith tradition, and no matter what our experience of parenting, we have a clear mandate to grapple with this instruction. Start there. Second, take a prophetic stand against the culture when called for and stand with the culture when it reinforces the text. Some of the most memorable and life-changing experiences of worship come when we are challenged and not fed the same old platitudes. Perhaps our approach to these days needs to be grounded in the same principles in which we approach every other Sunday—our worship is centered on God and not ourselves. Finally, the expectations, desires, and needs of those who fill the pews are as varied as the individuals’ experiences who make their way into churches these days. This is obvious but no less profound—people are different. The less we offer up sweeping generalities and the more we let the sacred texts speak to our specific circumstances, the closer we come to making what could be hollow acknowledgements of societal observances into genuine worship experiences. Why does everything have to be so complicated? Why can’t we just do what we always did? Why do we have to be so sensitive and tip-toe around? Because the people who make up our congregations are complicated. They come from different life experiences than they used to. Worship is too important to drive people away by clumsily mixing our cultural and spiritual observances. 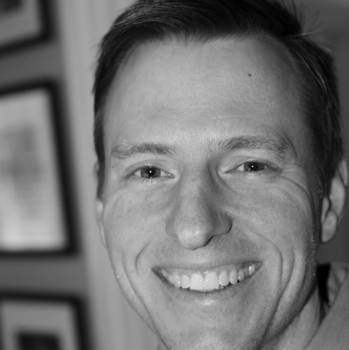 Lance Wallace is a Baptist layperson who works as Director of Communications for the Georgia Tech Research Institute. He previously served as Director of Communications with the Cooperative Baptist Fellowship. Lance blogs at newsouthessays.com.